The Transportation Safety Board of Canada (TSB) released its annual reassessment of responses to Board recommendations. When the TSB identifies serious safety deficiencies during an investigation, it issues recommendations to the regulator or industry, putting a direct spotlight on what needs to be addressed. Troubled by slow progress, the TSB is now calling on Transport Canada to intensify efforts on a number of outstanding safety recommendations, especially in aviation. A major challenge remains in aviation which has seen very limited movement on recommendations. Only 60 percent of recommendations have received the TSB’s highest rating of “fully satisfactory”. 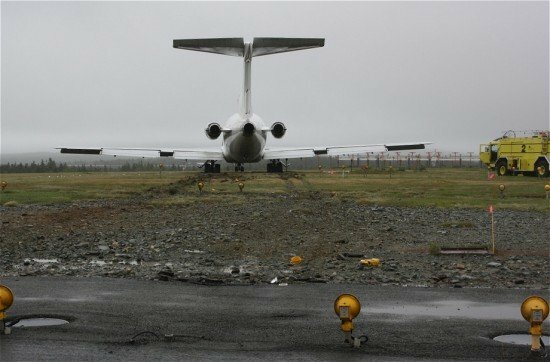 Canada has seen a number of aircraft accidents over the past few years that have involved factors relating to these outstanding recommendations. For instance, the TSB has revived three dormant recommendations relating to post-impact fires as a result of ongoing accident investigations. In addition, not enough is being done to address a recommendation which calls on Transport Canada to require airports with Code 4 runways (1800m) to have a 300m runway end safety area or a means of stopping aircraft that provides an equivalent level of safety – landing accidents and runway overruns are on the TSB Watchlist.